Safetech Scaffold Ltd. has opportunities offering professional growth and competitive compensation. Job description includes installation and dismantling of scaffolding to provide worker access on buildings or industrial sites. Must be knowledgeable and experienced with industry related tools and PPE. Responsibilities can include installation and dismantle of ring-lock system scaffold, frames and brace, tube and clamp systems, exterior walls, and temporary structures such as stages, seating and catwalks. Ability to read drawings, leadership skills, strong math and layout skills are an asset. Folding Boom Crane certification also considered an asset. Must be comfortable working at heights and/or working in confined spaces. Greater Vancouver Regional District, Southern B.C., Fraser Valley and the Lower Mainland. Paid at time and a half of regular wage. Based on standard labour laws. Performance bonus paid based on company and individual performance. Send your resume to our Human Resources Department at careers@safetechscaffold.com. Only the applicants selected for an interview will be contacted. We thank you in advance for your interest in Safetech Scaffold Ltd..
Our employees receive competitive wages and compensation packages. 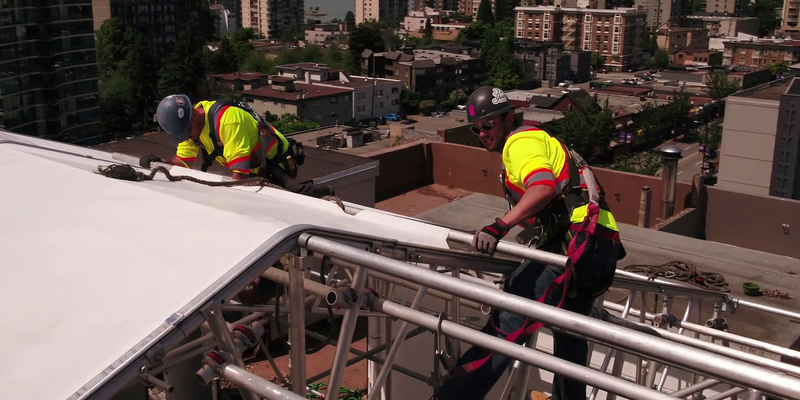 Join BC’s leading scaffolding company and rise up to the challenge!